Use this guide to care for your Bloom Magic luxury flowers. Bloom Magic’s luxury flower delivery service is available all across Ireland. 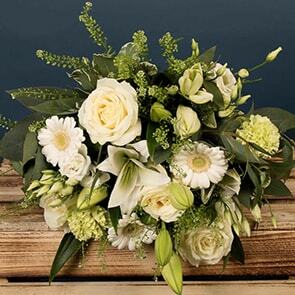 We offer same-day flower delivery to Dublin and next-day flower delivery to everywhere in Ireland. If it’s a special occasion then it deserves a special gift, and nothing is more special than a gorgeous, luxury bouquet of flowers from Bloom Magic. 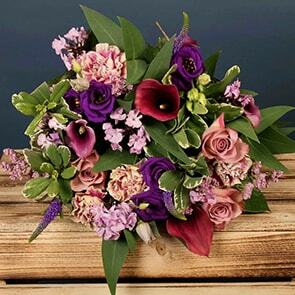 Every bouquet from Bloom Magic comes thoughtfully hand-tied by one of our expert florists. This means that your bouquet will be easier to care for and will look beautiful longer, but it also means that you’ll need to tend to it differently than you would if you had received a standard stock arrangement. With proper care, your fresh hand-tied bouquet from Bloom Magic will look beautiful for a long time to come. Unpack your flowers as soon as possible after arrival, as they’ll be thirsty from the trip. Remove any exterior packaging, but from the band in place so the bouquet retains its shape. Fill your vase or container with water and add the flower food, according to instructions. Cut approximately 2-3cm from the base of each stem at an angle. Trim off any leaves that might otherwise become submerged in your vase. Gently slide the bouquet into the vase. Approximately every three days, or sooner if the water becomes cloudy, clean the vase, replace the water, trim the stems again, and give the flowers new food. Remove the exterior plastic packaging. You can leave the tie around the stems in place so the bouquet keeps it’s shape in the hatbox. The interior of the hatbox is waterproof. Fill the hatbox with water to about halfway and add flower food. Stir until the food is dissolved. Cut approx. 2-3cm from the base of each stem at a 45 degree angle. Trim off any low hanging leaves that might become submerged in the water. Gently slide the bouquet into the hatbox or your chosen vase. Approximately every 3 days, or sooner if the water becomes cloudy, replace the water and trim the stems again. With proper care, your Bloom Magic bouquet will remain healthy for up to 2 weeks.